Online Degrees | Blog | What Can I Do with a Master’s in Applied Behavior Analysis? According to the National Institute of Mental Health (NIH), nearly one in five adults in the U.S. lives with a mental, behavioral, or emotional disorder. In recent years, many of these individuals have benefitted from the help of professionals trained in applied behavior analysis (ABA). Also known as behavior modification and learning theory, ABA is the evidence-based practice of improving specific behaviors, such as social or learning skills, in people with behavioral disorders. Enrolling in an ABA degree program can be the first step toward a fulfilling career focused on helping other people. Professionals who are curious about what they can do with a master’s in applied behavior analysis may be surprised to discover the variety of career paths they could choose to pursue. When students work towards completing a master’s degree in applied behavior analysis, they must cultivate several skills that are fundamental to achieving success in the field, regardless of the position they enter. Some of these skills correlate to important competencies that are universally valued across several fields, such as time management, problem solving, and critical thinking. Other skills that are emphasized in an ABA master’s degree program are focused on interpersonal skills and rapport building. These are key to developing trusted person-to-person relationships that are often the foundation of the behavior analysis field. Successful behavior analysts must have proven communication skills that embrace many elements, including writing, speaking, and listening. Strong compassion, empathy, and approachability are also essential for success. 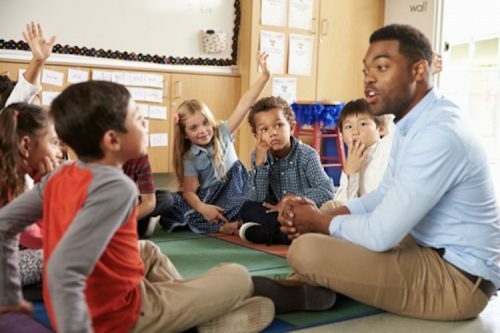 While it’s important for behavior analysts to remain objective within the parameters of a given situation, they must also be able to demonstrate a sense of personal caring and understanding to develop trusted bonds. Once students earn a master’s degree in applied behavior analysis, they can put their skills to use working as a behavior analyst in various different areas. There are many occupations that use ABA methods in different ways, but each career in the field is guided by the fundamental goal of helping clients manage behavior-related challenges and improve their daily lives. Board Certified Behavior Analysts® (BCBAs) are professionals who provide services and create programs for children, adolescents, and adults who live with autism, intellectual or developmental disabilities, or medical disorders. They analyze a patient’s behavioral patterns and work to teach new behaviors with the objective of improving health, wellness, independence, and social functioning. Because of the nature of the profession, BCBAs may work in environments that include schools, hospitals, group homes, or assisted living facilities. According to Psychology Today, most BCBA’s earn a bachelor’s degree in a health science field before going on to earn a Master of Science in Applied Behavior Analysis. To become certified as a BCBA, master’s students must complete their degree program, supervised clinical experience, and pass the certification exam. The job outlook for behavior analysts and behavior support specialists is expected to grow 15 percent between 2016 and 2026, faster than the national average of 7 percent, according to O*NET, an occupational data organization funded by the U.S. Department of Labor. University or college professors working in ABA departments prepare both undergraduate and graduate students to become the next generation of professionals in the behavior analysis field. They develop and execute course syllabi and guide students in their ABA study and clinical work. In some cases, professors perform original research in their discipline and publish books or scholarly articles in their areas of specialization. Most colleges and universities require professors to have doctoral degrees. If professors teach a subject that typically requires a professional certification as a practitioner, they usually must have the same credential. According to the BLS, the median 2017 salary for the profession was $76,000 per year. The job growth rate for this career between 2016 and 2026 is projected to be 15 percent, which is faster than the rate for most careers. With a master’s in applied behavior analysis, many graduates choose a career as a school-based behavior analyst. These professionals use the principles and theories of applied behavior analysis in educational settings. School-based behavior analysts may provide support for students with autism or developmental disabilities. Additionally, they train and educate teachers, caregivers, and families, providing them information on various programs about learning and behavioral disabilities. School-based behavior analysts share many of the same job functions as clinic-based applied behavior analysts. Therefore, those interested in pursuing careers as school-based behavior analysts must obtain the BCBA credential. An ABA training coordinator typically works with other professionals such as parents, teachers, administrators, and medical caregivers to implement ABA treatment strategies for patients. They are also tasked with overseeing treatment programs to ensure that quality care is consistently being administered to the facility’s clients. Often, the training coordinator performs client assessments and ensures that the goals of the care plan are being met to ensure patient well-being and insurance compliance. According to PayScale.com, the online compensation site, the 2017 median salary for this position was $59,200. It should be noted that compensation levels for ABA-based positions can fluctuate depending on different factors such as years of experience, education, and the local demand for the position. Earning a Master of Science in Applied Behavior Analysis can better equip degree holders to explore rewarding careers that enable them to provide assistance to those in need. Individuals who are drawn to the field of behavior analysis are most often concerned with the well-being of others, value trusted relationships, and wish to help individuals achieve behavioral goals for a better life. A great place to begin that career journey is by obtaining a master’s in applied behavior analysis. Designed for students from a wide variety of health science backgrounds, the online Master of Science in Applied Behavior Analysis program at Regis College prepares graduates for success in a variety of ABA-related fields. The program blends research and hands-on experience, offering coursework in behavior assessment, treatment evaluation, ethical practices, and other areas. If you are interested in developing a deeper understanding of human behavior to prepare for your future career or excel in your current one, learn more about the MS ABA degree program at Regis College today.